Today I have for a refreshing summer drink that is so tasty, low-calorie and completely guilt-free, not to mention a snap to whip together. This is my Strawberry Lemonade Frappe. The other day my friend and I went to Starbucks and she ordered off the secret menu the Strawberry Lemonade Frappe and she gave me a sip. I was in love and knew I needed to recreate the drink. I watched them make theirs and all they did was pour two boxes of mix together and the drink was born. I knew I could replicate the drink but make it healthier. I have no idea what the calories or the sugar count is on Starbucks version, but I can only imagine that it is high. Mine is not, and it’s all natural! For my drink all I used was some frozen strawberries that I froze myself and lemon juice. I would have used fresh lemon juice, but sometimes it’s just easier using the stuff in the bottle. Sometimes you need to cheat a little. I added some ice, water and stevia and their you have my drink. It’s sweet, tangy oh so perfect for a hot day! Especially since it’s near 90 degrees today. I can picture myself drinking these while lounging in the pool. Now I just need a Cabana Boy to bring me my drink. The recipe makes 3 cups and the whole recipe is only 67 calories with 3 grams of fiber! Perfect!! 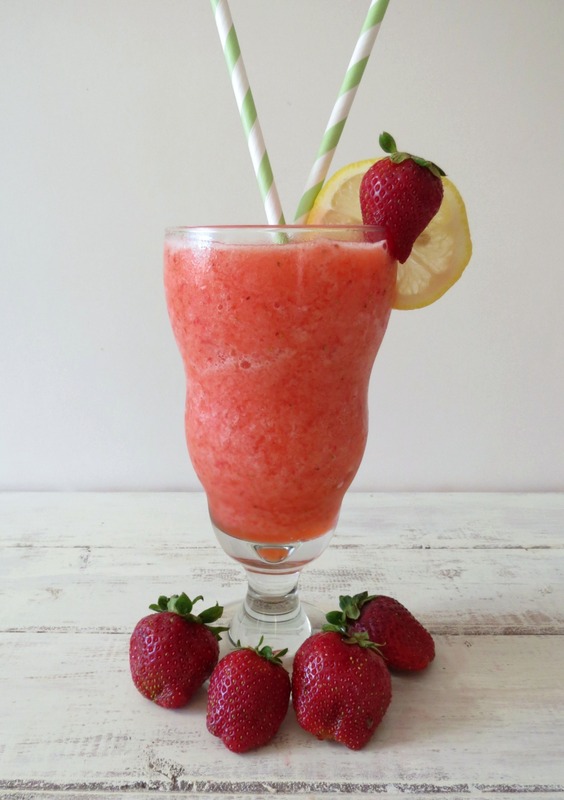 I just love strawberries and I love the strawberry taste in the drink. Not every recipe will be exact when making this. It all depends on how sweet the strawberries are and how sweet you like it. I like tangy and tart, but you may like a sweeter lemonade. I would recommend adding a pinch more stevia or sugar to your drink. 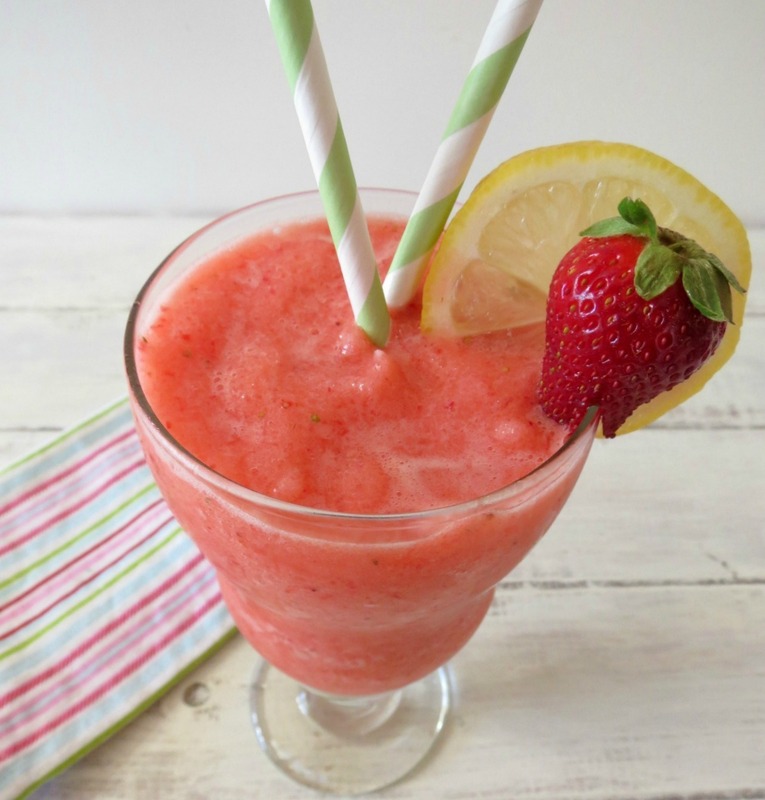 A sweet, tangy frozen drink blended with strawberries and lemon. In a blender, add all ingredients together and process until smooth. I simply love this drink and I love that anyone can drink it. It doesn’t matter if your gluten-free or vegan! It’s perfect and I think kids will love it too!!! If adults feel like spicing it up, you can add a pinch of rum to it and I can only imagine how wonderful that would be. It would be a great drink served at Memorial Day or for a barbecue. For me, it will be my afternoon refresher when I get home from work! Well my Friends, off to make dinner. I know the secret menu is pretty cool! They have so many wild drinks like a Captain Crunch! I love Starbucks too! Don’t let my posts fool you, I go to Starbucks just about everyday! I love it there and the people too! This is making me want to be on the beach somewhere immediately!! Love it! Me too! I would love to be at the beach right now!! I should play hookie at work and go! That looks so incredibly refreshing and I am actually thirsty right now and would love if that would just magically appear in front of me! This just shot to the top of my must make list! Ahhh, Thanks Jen. If you make it, let me know what you think! I love homemade re-creations of restaurant recipes! This sounds so refreshing! Who needs Starbucks when we have your fabulous recipes and creations?! This is one refreshing drink I can’t wait to make. Just bought some local berries. I’m making this today! It looks so good! 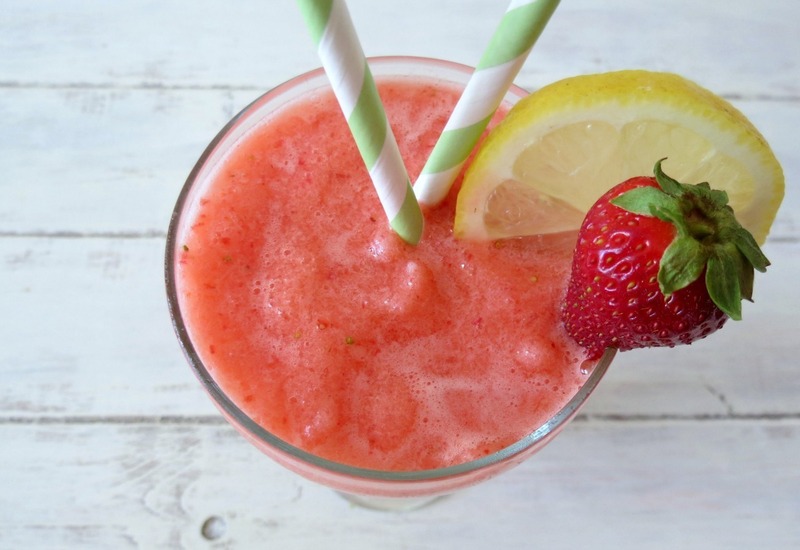 This is such a great recipe,especially for this summer, it really looks refreshing! This looks amazing and everything is natural in this drink!! If you could replicate the cherry berry chiller from mcdonalds, then I’d be even happier. I can’t wait to make this and I always have all the ingredients on hand!!! Cherry Berry Chiller. Hmmm, ok, I’ll have to make a pit stop to McDonald’s on my way home from work tomorrow so I can taste one. I will try my best to see what I can do about replicating it. I love a challenge and a new drink. I already have a pretty good idea, just by the name. I’m trying really hard to not put food die in my foods and to keep to natural sugar, such as “sugar in the raw” or “stevia in the raw” as much as I can. And the fact that you have done this with the lemonade makes it amazing! I’m with you! I try too! Good for you, for using sugar in the raw or stevia! That’s really the way to go!! Yayaya,,,, for summer drinks. These are for the pool. Ahhh holy crap this makes me thirsty! 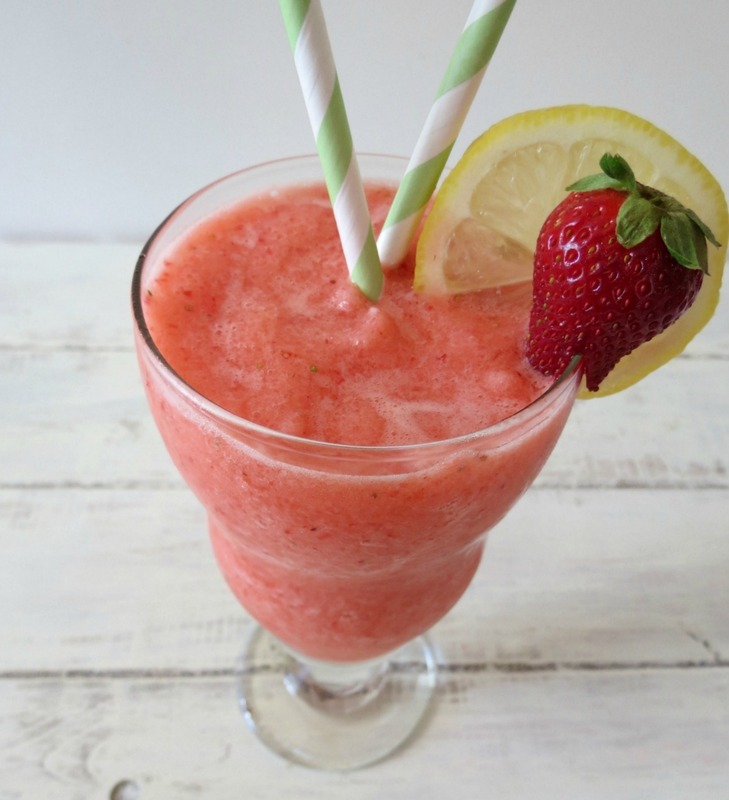 Today was a gorgeous, very warm day, and all I could think about was “I want a fruit smoothie!” I didn’t have one and now I think it’s a sign that I need to get some frozen strawberries and make some!! 🙂 I’d have mine without whipped cream so it’s more refreshing. Great and simple recipe! Hi Kammie! Go out and get some frozen berries!! One thing I love about this time of year is having my fruity smoothies!! How funny! I made lemonade today too, but strawberry lemonade is my FAVORITE! Yum! Great way to use up those strawberries. Lately the stores have been bursting with them around here! I am loving the strawberries! I bought two cases this weekend, and I just keep eating them! They are my favorite, favorite berry!! My mouth is watering! I found you on Gluten Free Fridays where I shared my ultra simple steak marinade. 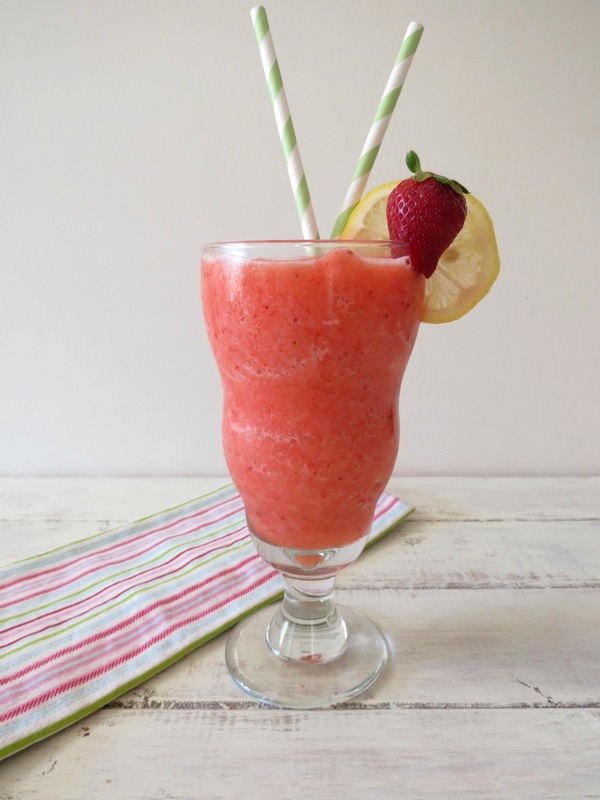 I’m pinning your recipe for a hot summer day! How great does this sound?! I bet it would be so refreshing! Thank you so much for sharing at last week’s All My Bloggy Friends 🙂 I can’t wait to see what you share this week! Thanks Cindy! I’ll pop over this weekend! Glad you found me! 🙂 Nothing beats a lemonade drink in the summer! Now only if the warm weather would get here and I live in California! 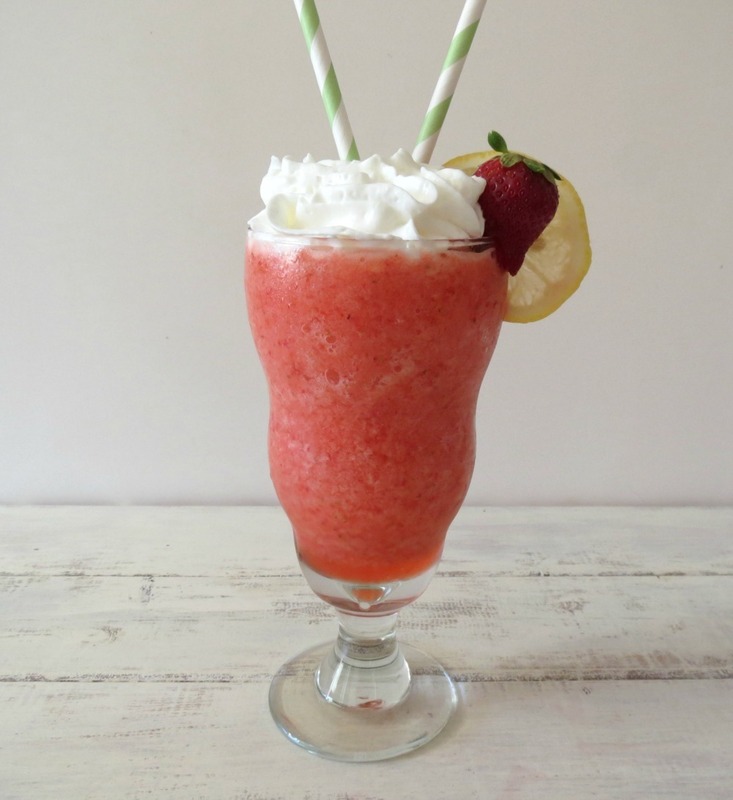 This frappe looks so tasty and refreshing for those hot summer days! Can’t wait to make some for me and the kiddos 🙂 Thanks for sharing at Tasty Creations. Have a great weekend.